From EU policy focused campaigns like Count on Wind Energy to worldwide efforts like Global Wind Day, WindEurope has successfully run a wide variety of campaigns over several years. The campaigns bring wind energy issues to prominence, focus attention on a specific wind energy related topic, or aim for a longer term, general support for wind energy. Do you want to see more renewable energy and more jobs across Europe? Then join the campaign! In the wake of the Winter Package launched by the European Commission on November 2016, the European renewable energy associations community decided to unit around the #RenEUable initiative which shines a light on one of the EU’s greatest achievements – Europe’s renewable energy industries – by promoting its successes. Discover every weeks new stories that show that RenEUable! 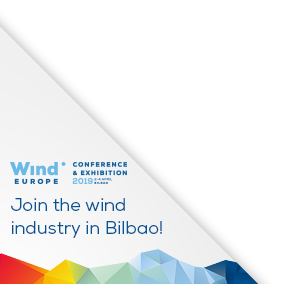 Global Wind Day is a coordinated action between WindEurope, the Global Wind Energy Council and the national associations to introduce the general public to wind energy through a series of activities. In the run-up to 15 June, hundreds of public events will be held all over the world from family outings and wind farm visits to seminars with experts and leading industry figures.